Installer2018 is the venue for the launch of Ideal Boilers’ smart control, Touch Connect, next week. It’s easy to install and use and will save consumers’ money by giving them complete control of their heating and hot water via their smartphone or tablet. 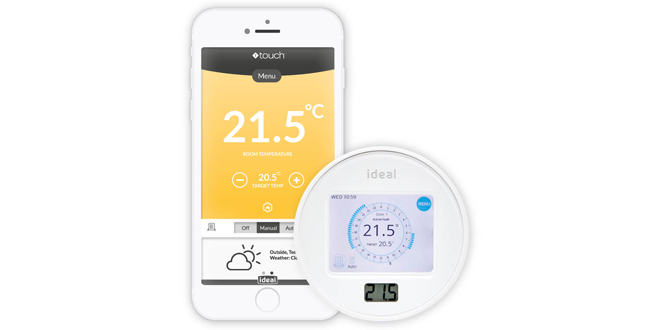 Ideal Boilers’ smart control, Touch Connect, launches this week (May 7-11). It’s easy to install and use and will save consumers’ money by giving them complete control of their heating and hot water via their smartphone or tablet. Developed at Ideal’s Research & Development Centre of Excellence and Innovation in Hull, Touch Combi Connect, has the same easy-to-install boiler mounted transceiver as the current Touch Combi RF – and meets Ideal’s exacting reliability and quality standards. The transceiver simply clicks into the combination boiler front panel and pairs with the thermostat. The gateway provides connection to the internet, via an Ethernet cable plugged into the home’s router, and communicates with the boiler and thermostat via an 868MHz RF signal. Optimising the performance of the RF signal has been a real focus during the development to give the distances of reliable communication required in our homes. It is stylish in design and makes setting heating programmes child’s play, either using the fully interactive colour touch screen on the thermostat, or for those on the move, via the Touch app, which is available on Google Play and the Apple App Store. Touch Connect is fully compliant with Boiler Plus, when installed into a replacement combination boiler of ErP rating 92% or above. It meets three of the boiler plus criteria, firstly it is a smart control, with optimisation and automation features in the app, secondly it provides load compensation to the boiler based on set and actual temperature differences and the app uses internet weather data to further enhance boiler modulation and increase energy efficiency. “Our technical team has produced a smart control that’s easy to install and use together with an app perfect for people’s hectic lives, so everything works in complete harmony with our boilers,” said Chief Technical Officer Elaine Lancaster. 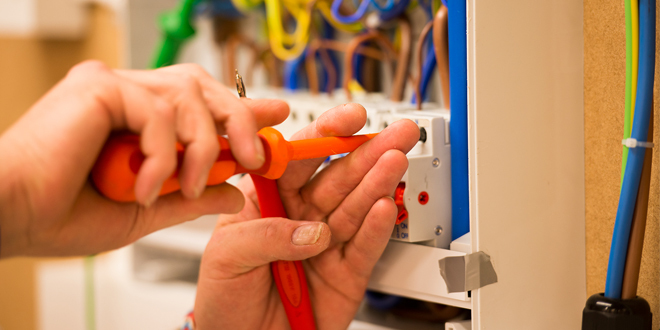 “Installers want a control they can fit in minutes and won’t require call backs, consumers want one that’s easy to use at home, or on the move, and saves them money. Touch Connect delivers it all,” added Elaine. The Touch family also includes the recently launched Touch Heat & System RF, providing single zone central heating and domestic hot water control for households with a system or heat only boiler.